Samples of Business Diagrams (Area Charts, Line Graphs, Scatter Plots) are created using the ConceptDraw DIAGRAM v12 diagramming and vector drawing software enhanced with business diagramming solutions from ConceptDraw Solution Park. The ConceptDraw DIAGRAM v12 offers you a variety of diagramming tools, and solutions from the Solution Park provide diagram templates and libraries of ready-made charts and shapes for quick and simple drawing professional-quality business diagrams. ConceptDraw DIAGRAM v12 provides export of vector graphic multipage documents into multiple file formats: vector graphics (SVG, EMF, EPS), bitmap graphics (PNG, JPEG, GIF, BMP, TIFF), web documents (HTML, PDF), PowerPoint presentations (PPT), Adobe Flash (SWF). 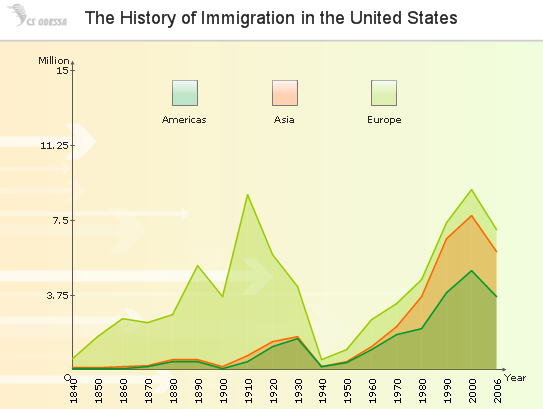 Area Chart sample: The history of immigration in the United States. 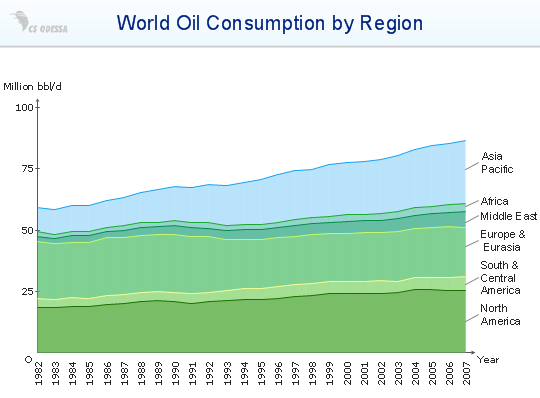 Area Chart sample: World oil consumption by region. 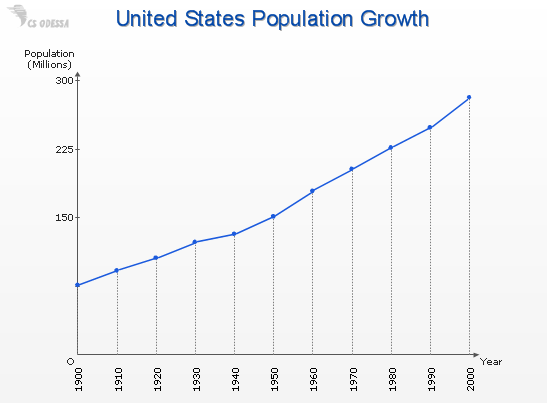 Line Graph sample: United States population growth. 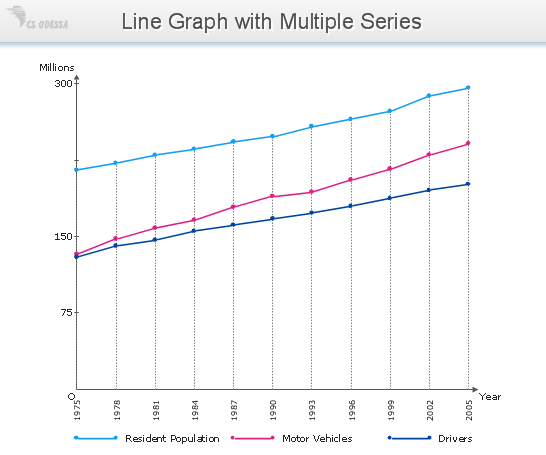 Line Graph with 3 series sample: Licensed drivers, vehicle registrations and resident population. 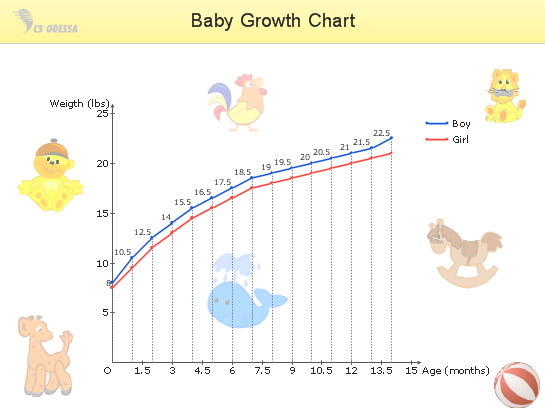 Line Graph sample: Baby growth chart. 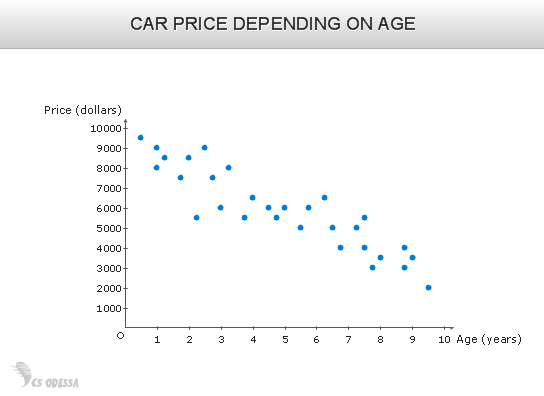 Scatter Plot sample: Car price depending on age. 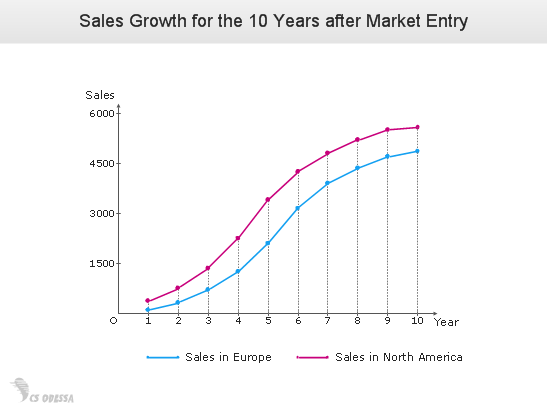 Scatter Plot sample: Annual sales growth after market entry.